The True Ofuro Mini came about as the direct result of your requests. It too is inspired by the ancient traditions of Japanese bathing that led to the development of our incredibly popular True Ofuro. It too draws on the best ergonomic principles to sculpt a bath with internal seating and built-in headrest, made available in a very compact footprint to fit into even the smallest bathrooms. 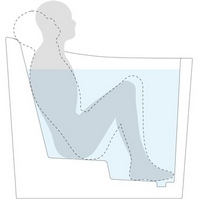 In fact, Aquatica’s clever designers have managed to create this ‘small and tall’ tub, deep enough for full body soaking in a footprint of just 43”. Now we have made one more important innovation to the Ofuro Mini - the addition of a stunning graphite black option, using our award-winning and ground-breaking AquateX™ solid surface composite. Just think how that might look in your bathroom! 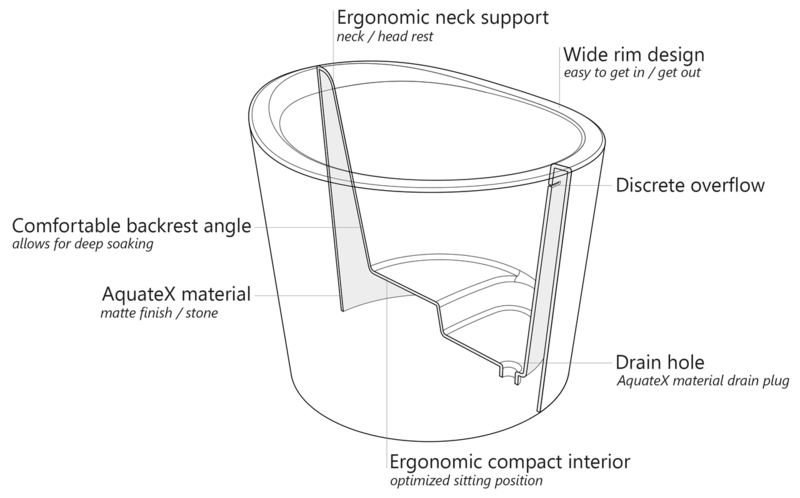 It is taller and deeper and features a slightly elevated rim for improved neck and head support, as well as a convenient ergonomic built-in seat, allowing the body to comfortably emerge to maximum water capacity. 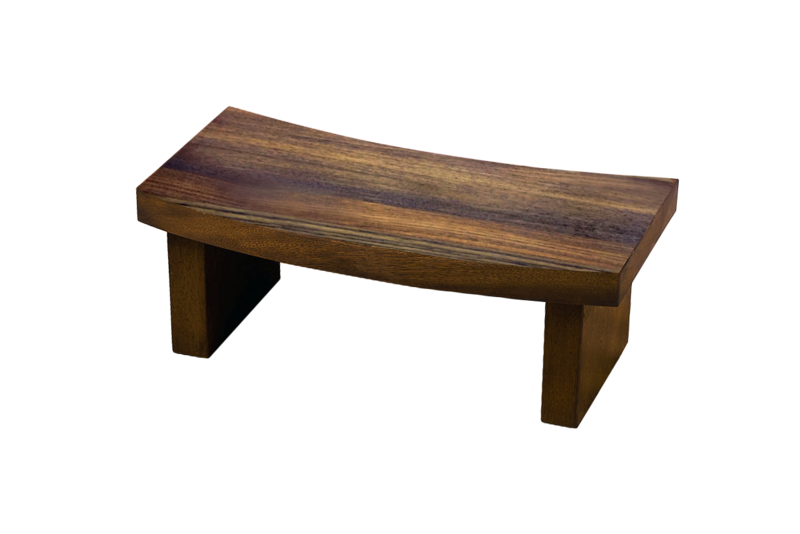 The height of the True Ofuro Mini Japanese style soaking bathtub is substantially taller than the original True Ofuro bathtub, and therefore we recommend people who are shorter than 170cm also purchase our stylish teak wood step. Aquatica’s international industrial design team, used advanced CAD tools, modeling and repeated testing with real size prototype units so that we could reach the optimal balance between ergonomic comfort and visual appeal. Our AquateX™ material is the star in this Japanese soaking tub as it retains heat much longer and also has a silky and velvety surface. 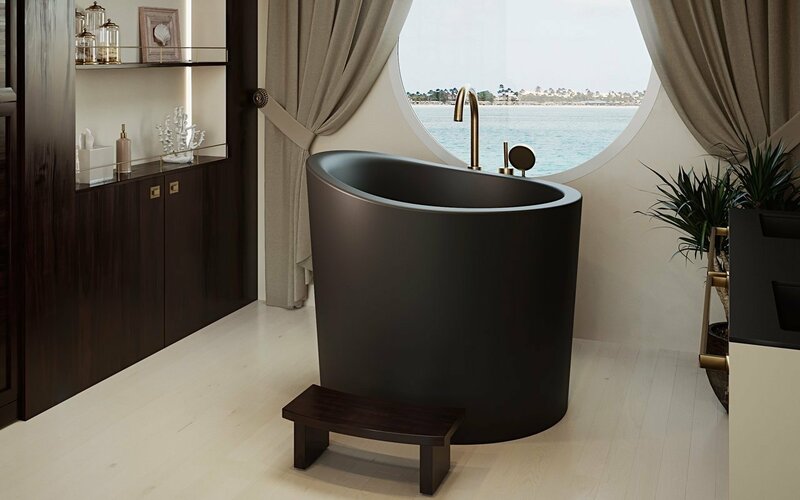 This bathtub is currently one of our most space conscious bathtubs at a size of 43" x 43" (1090x1090mm), making the freestanding and petite construction of this Japanese style bathtub easy to be installed in any sized bathroom. 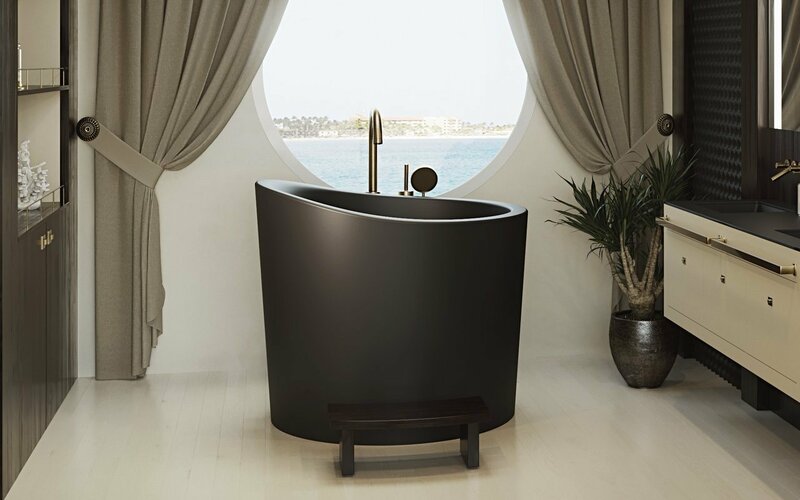 This tradition-inspired tub combines the best features of bathing ergonomics. Designed for you to sit and soak up to your neck, it combines a raised seat at the base of the bath adjoining the gently angled backrest and sculpted neck rest, for ultimate in comfort and support.